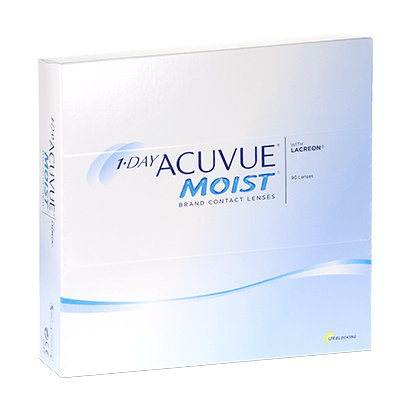 Highly comfortable, and known for their premium performance, hygiene and convenience, 1 Day Acuvue Moist 90 Pack are some of the most popular daily disposables around. Designed by Johnson & Johnson, these daily disposable contact lenses deliver clear and precise vision all day long, allowing you total freedom from glasses frames and a presence that you’ll barely feel. 1 Day Acuvue Moist 90 offer the ideal dailies for anyone after hassle-free, hygienic and comfortable contact lenses to correct their vision. These Acuvue Moist contact lenses make use of LACREON® Technology to ensure eyes stay hydrated and fresh from the moment you apply your lenses till the moment you dispose of them. 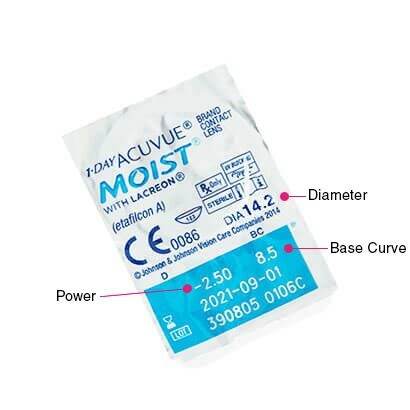 Ideal contact lenses for dry eyes, 1 Day Acuvue Moist (90 Pack) lock in moisture to keep your eyes free from dryness and irritation, even as the day goes on. These daily contact lenses also offer high UV protection, as well as a visibility tint and a 1,2,3 indicator to help with application. Simply apply a set of these Acuvue lenses in the morning, enjoy a full day of comfortable wear, then remove and dispose of them before bed. The best around when it comes to convenience, these daily contact lenses are the perfect choice for working professionals or contact lens wearers with busy lifestyles. 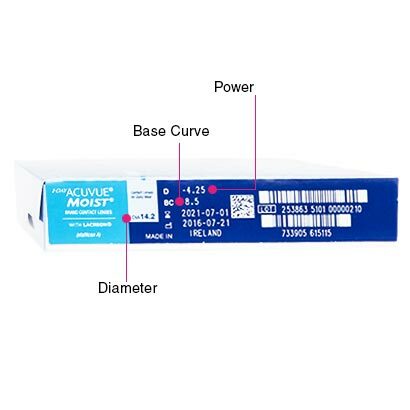 We also stock a 1 Day Acuvue Moist 30 Pack, as well as 1 Day Acuvue Moist Multifocal and 1 Day Acuvue Moist for Astigmatism.